Claudia Buchdahl Kadis ’65 arrived in Raleigh, North Carolina, in 1960, where she completed her senior year of high school before beginning her studies at Woman’s College. The welcoming environment on campus bolstered Claudia’s confidence and made her feel at home as she pursued a bachelor’s degree in history. Her awareness of the importance of women’s issues was sparked by the intellectual stimulation, enriching activities, and female empowerment of her college experience. Years later, as a grandmother, Claudia created a women’s lecture series in her granddaughters’ names to promote the value of studying, researching, and addressing issues impacting women. 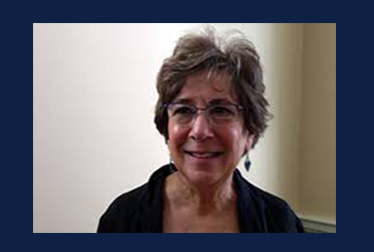 Since 2017, The Dylan Rose Kadis and Eloise Hall Kadis Women’s Lecture Series in UNCG’s Women’s and Gender Studies Program has brought experts to speak on various topics related to women’s issues. In addition to honoring her granddaughters, Claudia established the lecture series to simultaneously celebrate her 50th class reunion and her golden wedding anniversary with her husband, Bobby Kadis. Dylan Rose and Eloise Hall Kadis are sisters, the oldest and youngest of the Kadis’s six grandchildren. The inaugural speaker for The Dylan Rose Kadis and Eloise Hall Kadis Women’s Lecture Series in 2017 was Dr. Sara Ahmed, who presented “The Institutional as Usual: Sexism, Racism and the Politics of Complaint.” A scholar and feminist author, Dr. Ahmed discussed how sexism and racism can be perpetuated by small, everyday comments. She also examined institutional responses to individuals who complain about this insensitive conversational “normalcy.” The 2018 speaker, Dr. Nalo Hopkinson from U.C. Riverside, presented “We’re Here, Too: Feminism in Science Fiction and Fantasy.” A respected fantasy and science fiction author and editor, Dr. Hopkinson draws on Caribbean culture and history to imagine possibilities in her novels. She presented personal knowledge of working in a genre often viewed as a “boys’ club” and discussed her observations as a woman of color marginalized in multiple arenas. Issues that impact women are important to Claudia Kadis. Her education at Woman’s College inspired her to create an informed vision of the future for her grandchildren and the UNCG community. Claudia’s celebration of women, relationships, and education honors granddaughters everywhere.